The title of the relationship diagram can be edited here. Opens a dialog, where the title can be entered in multiple languages. More information about this topic can be found here. 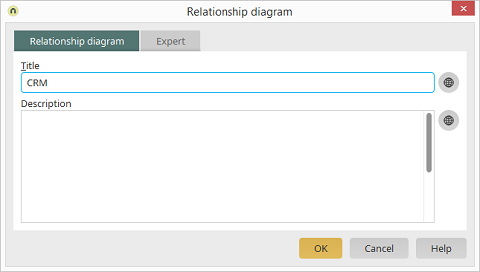 You can provide the relationship diagram with a description here. Opens a dialog, where the description can be entered in multiple languages. More information about this topic can be found here.